If you’re edged ’cause I’m weazin all your grindage, just chill. ‘Cause if I had the whole brady bunch thing happenin’ at my pad, I’d go grind over there, so dont tax my gig so hard-core cruster. 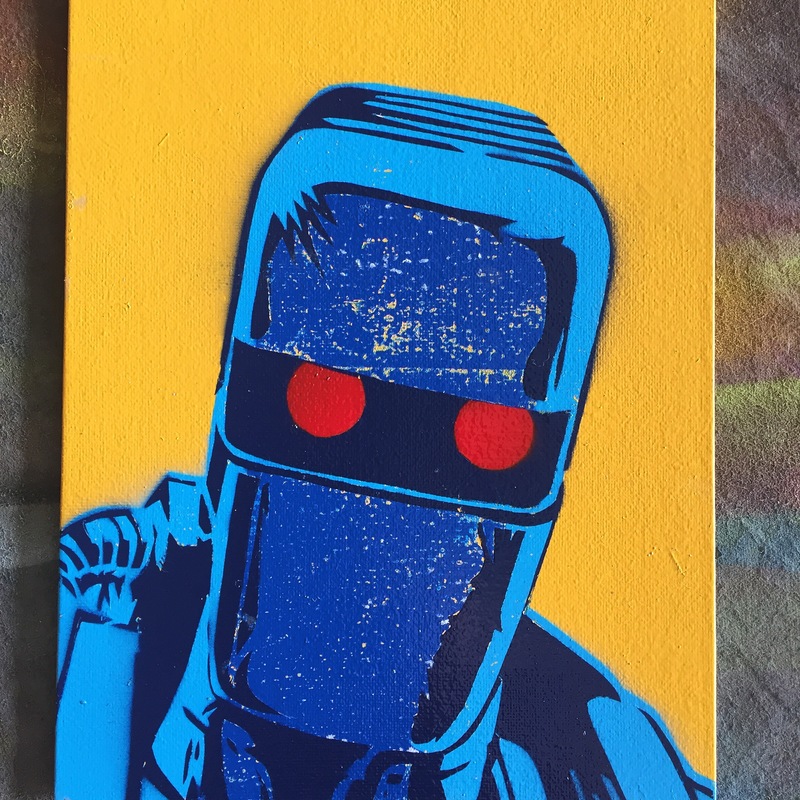 Working on custom stickers based off the movie “They Live” and how They want you to do nothing but what They want you to do. Want a set? Let me know. Ten bucks for a set of eight hand painted stickers. Now two are alike. Let’s turn on the juice and see what shakes loose. 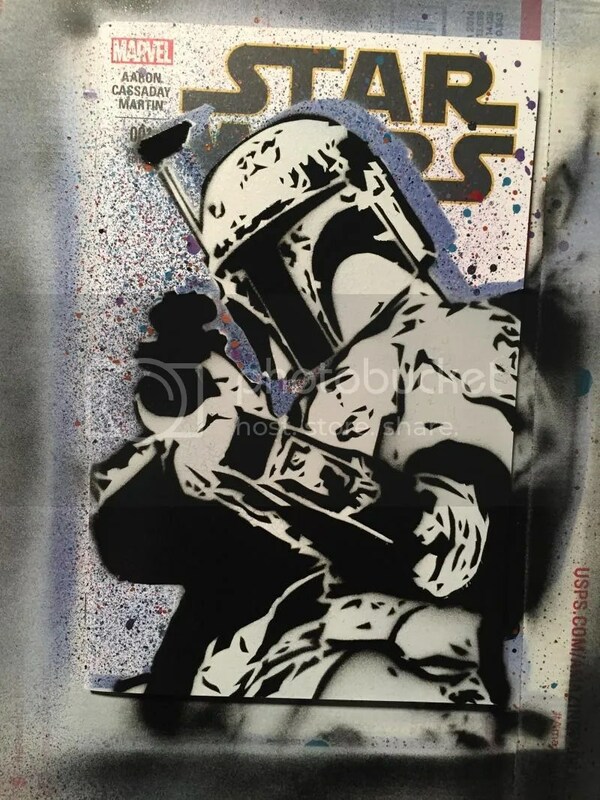 Today Topps releases Star Wars Masterwork 2018. Beckett and Ryan Cracknell have all the info you need on what’s included in this release. Check it out HERE. 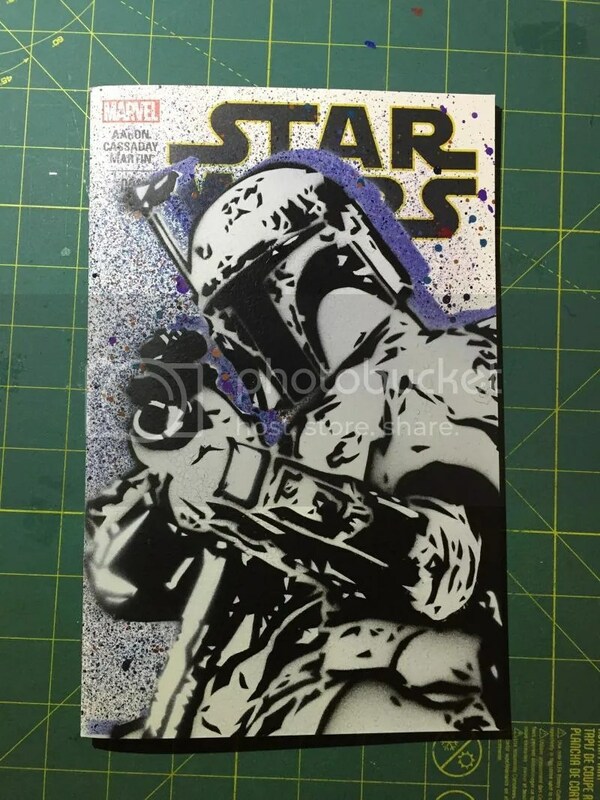 I have pack inserted sketch cards in this release for 2018. I also have Artist Return cards available. If you’re interested drop me a note, shoot me an email, swing by the house, write me a letter….. your choice. You can only these these particular cards from me, they were not pack inserted. 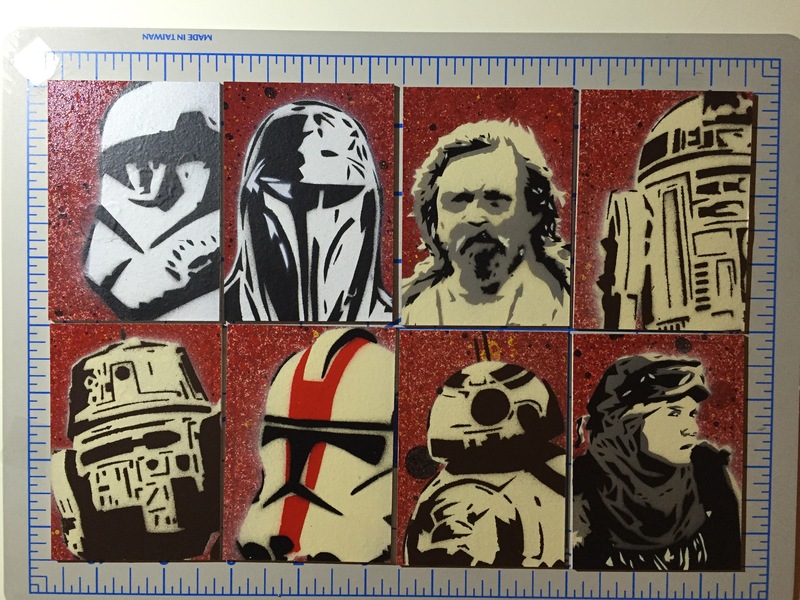 These cards are on official Star Wars Masterwork stock and are 100% hand painted using hand cut stencils and spray paint. It’s a banjo moment, I get it now. 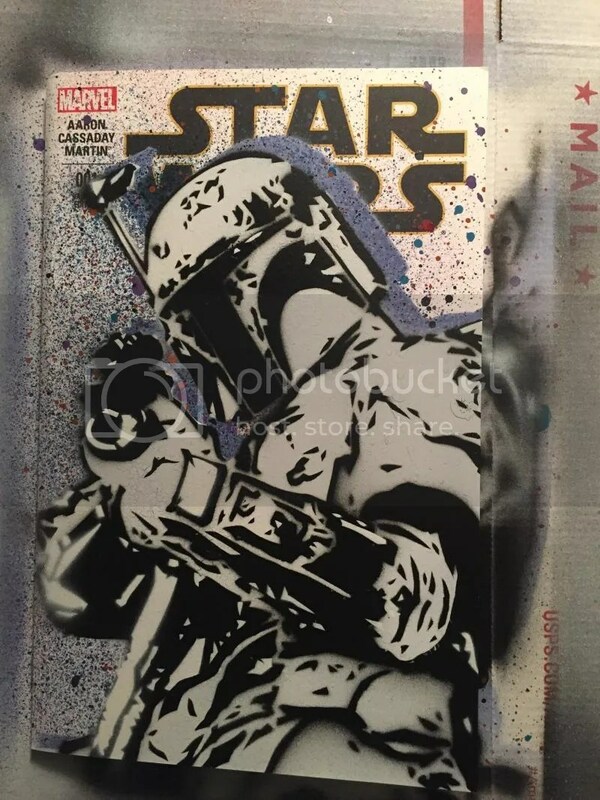 I did a few sketchcards for the latest Upper Deck release. 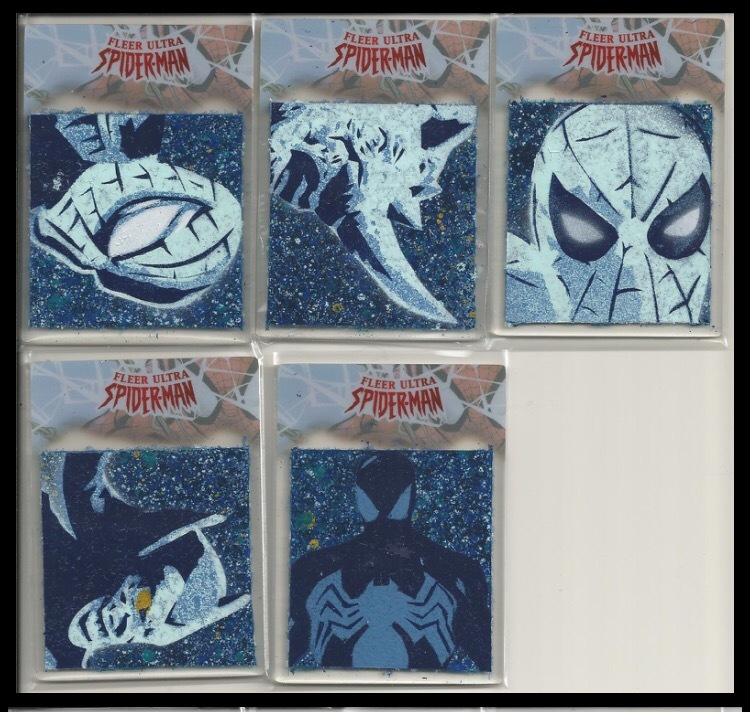 Fleer Ultra Spider-Man. 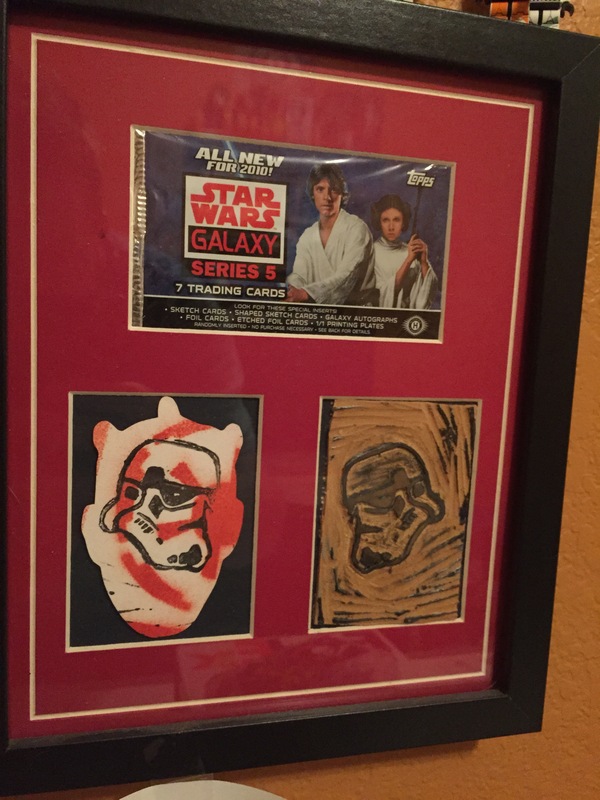 I did both regular and the Plexi-Sketch cards. Here’s a couple. 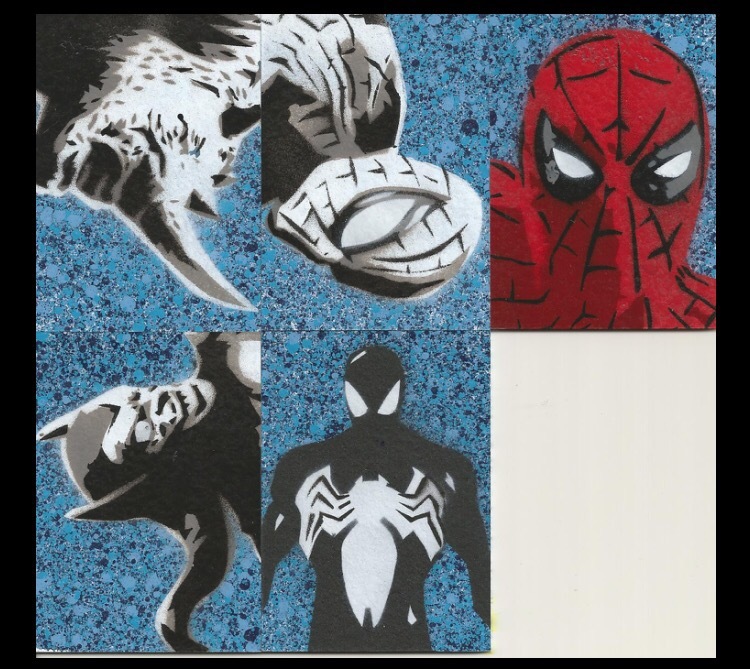 I also have blank APs for commission if you’re interested. It’s time to start prepping for San Diego Comic Con 2017. It’s gonna be crazy expensive this year. That being said, this is the start of a few sales I’m going to have to fund the trip. 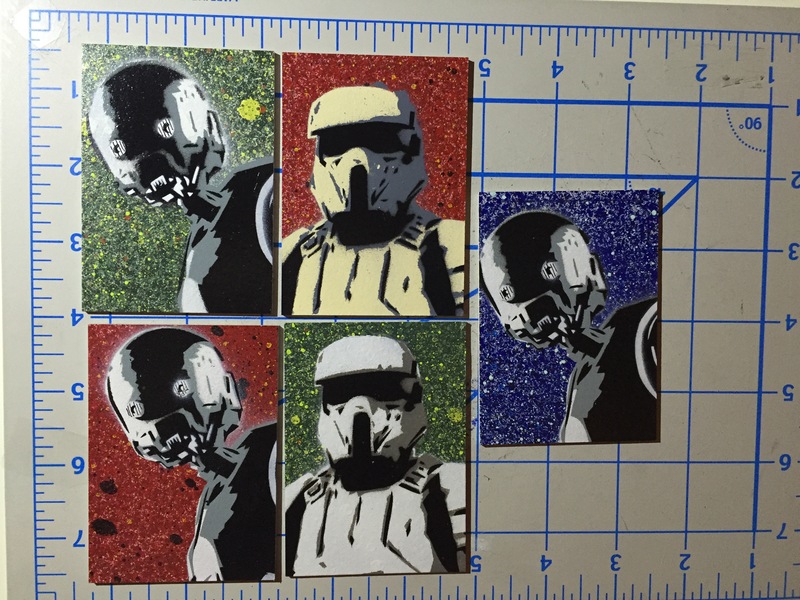 These are official sketchcards from Star Wars, and for a while I’m offering them up for $40 each plus shipping. 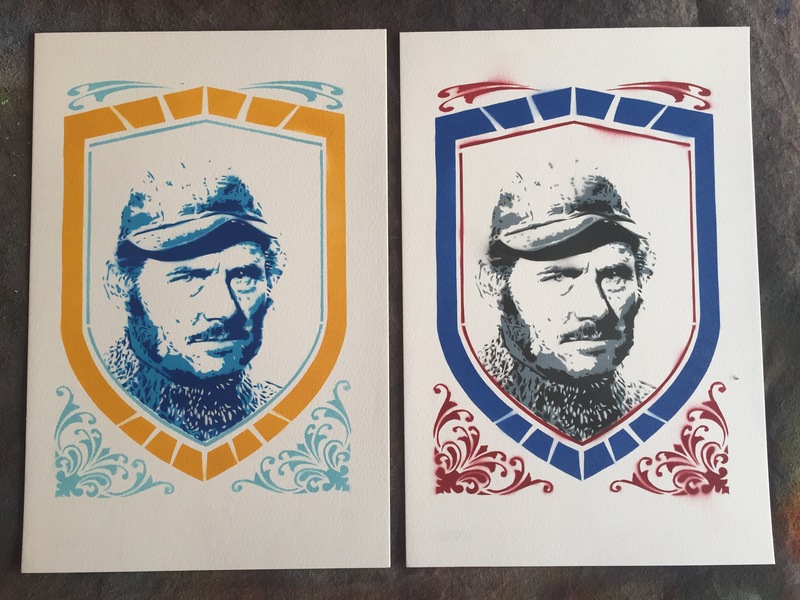 If you don’t see one you want, I have a few blanks laying around as well. Drop me a note. These shouldn’t last long. Each one is hand produced. 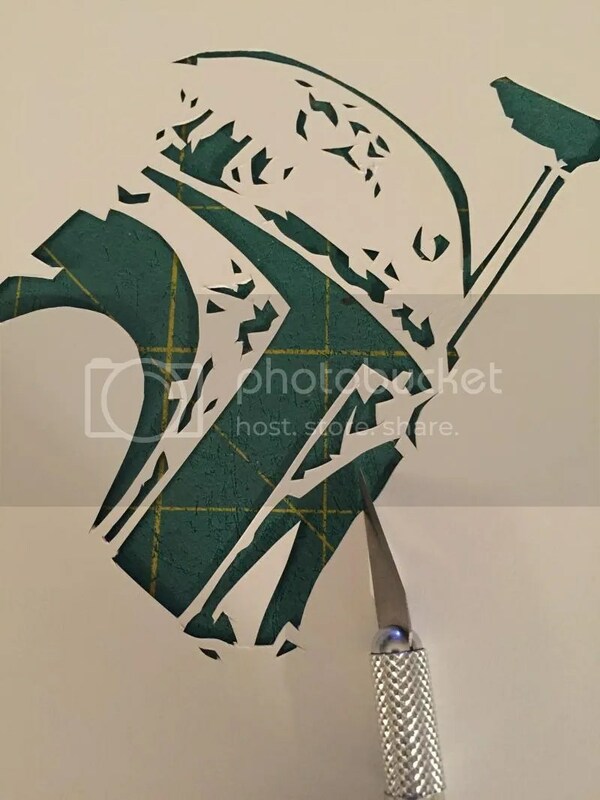 Using hand cut stencils and Spraypaint. Street art style. I’m not going to waste my time arguing with a man who’s lining up to be a hot lunch. 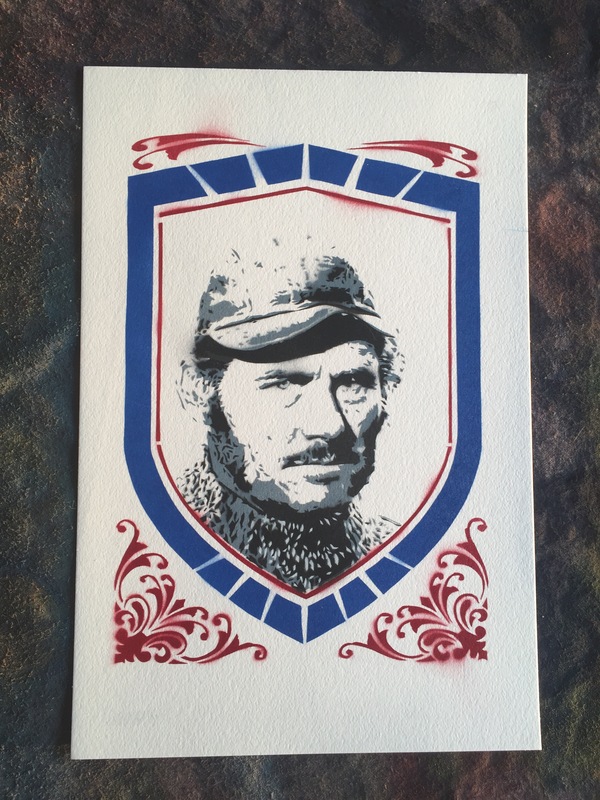 Captain Quint on watercolor paper. Available. I normally just post a few words and pictures. This post is a little different. 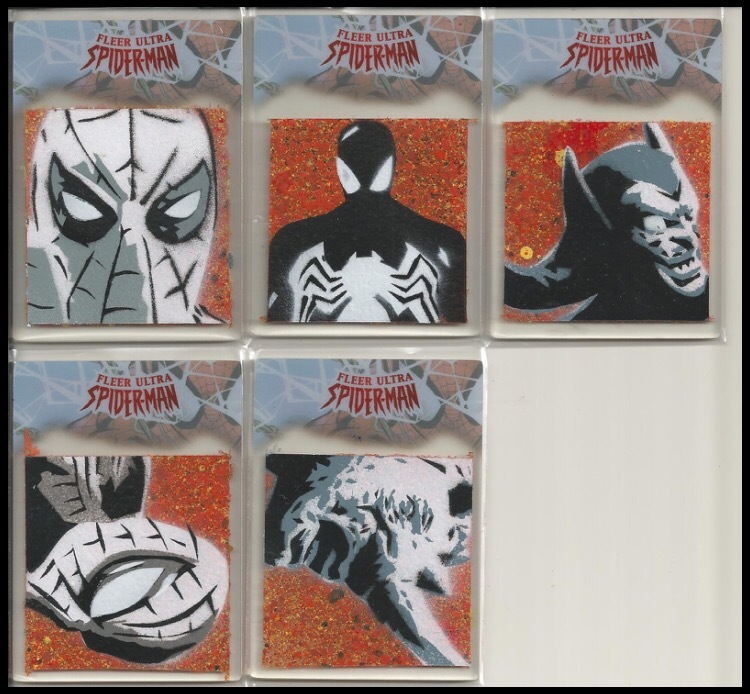 In 2008 I had the absolute honor to be included in my first ever sketchcard set. It was awesome. It was Star Wars. 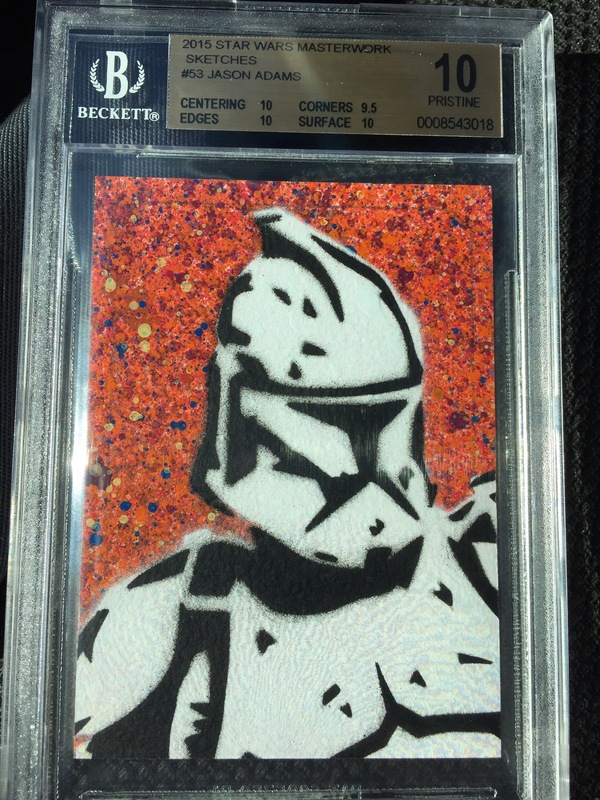 It was Topps. It was a dream come true. 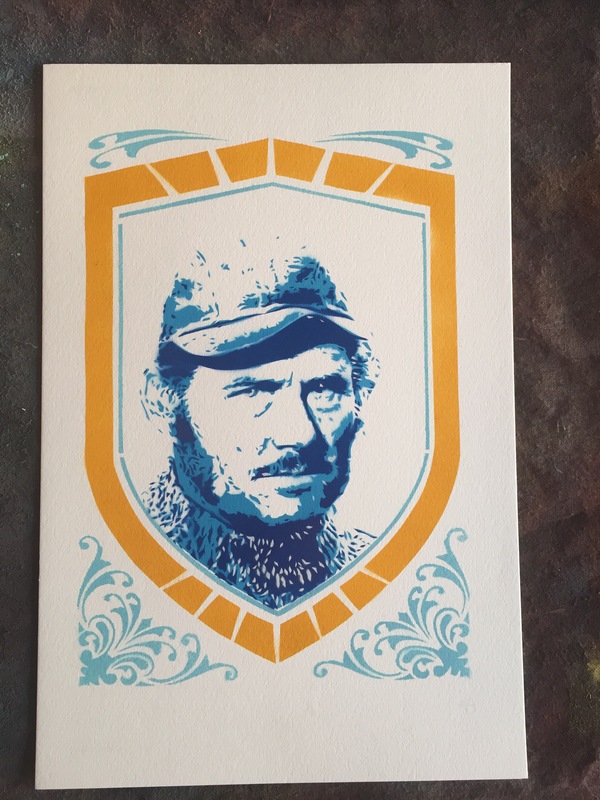 I still have one of the cards that I did for the set. I like to think I pushed the envelope a bit, doing things no one did yet, bringing a little punk rock attitude with me while doing linocuts and spray painting these cool little 2.5″ X 3.5″ cards. 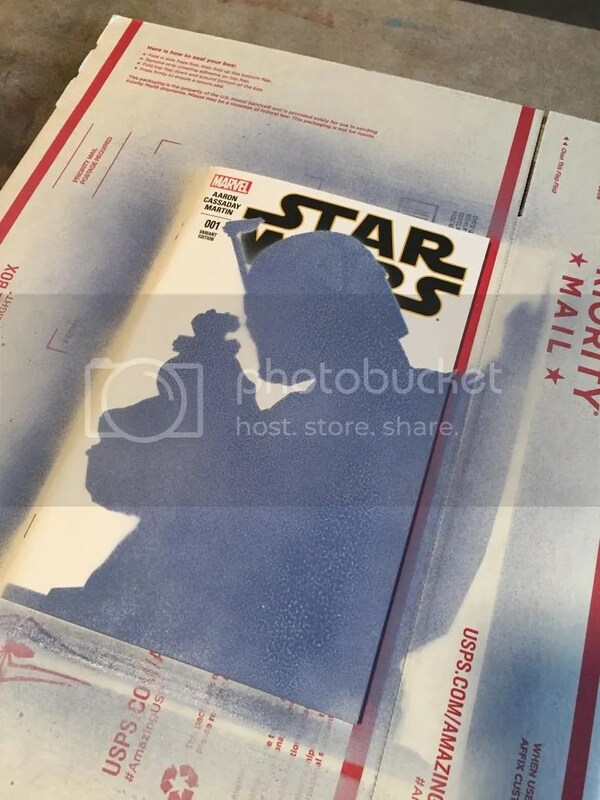 I’ve learned recently that moving forward, I’m not going to be a part of Star Wars sets with Topps. The reasons aren’t important. It’s a bit of a bummer, but it helps me move on to new and exciting projects. 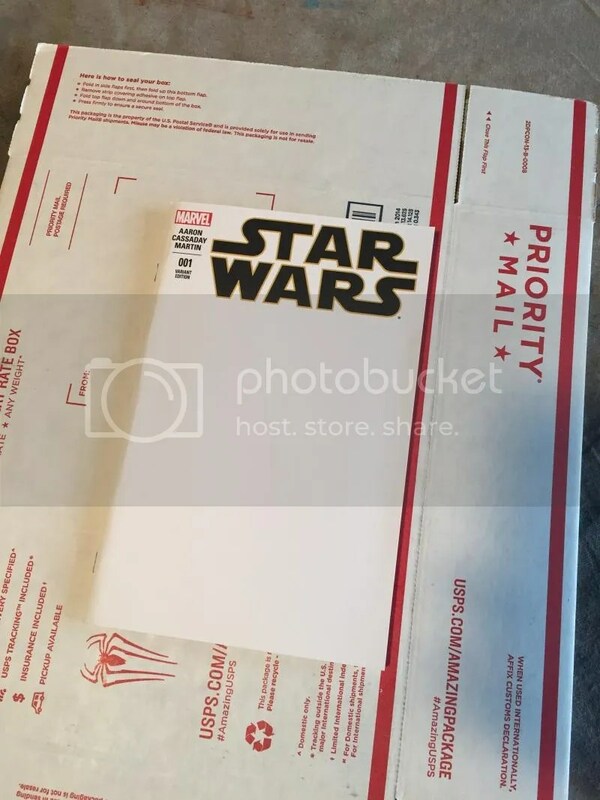 So Topps, Star Wars, Mark Von Olhen, David Waldeck, thanks for letting me be a small part of something incredibly fantastic. It was fun. Stay tuned. 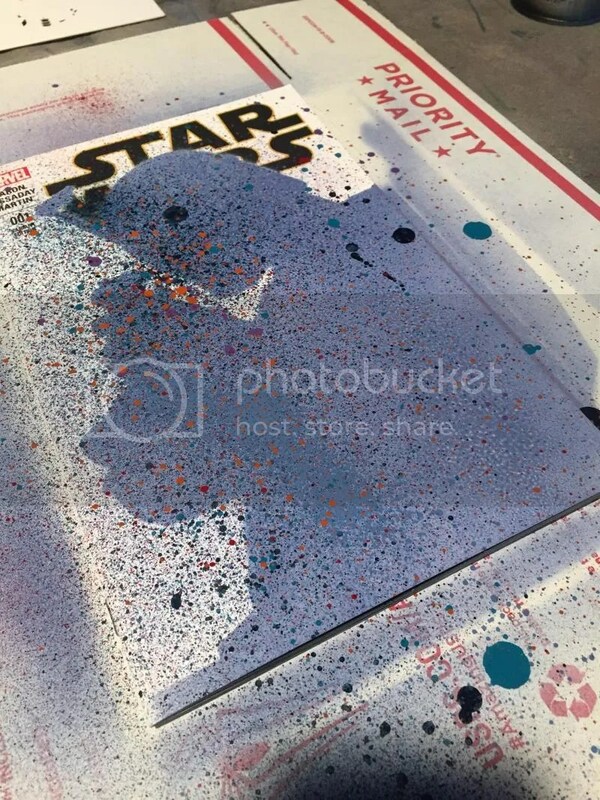 There’s something really cool coming soon. Very soon. And, I have a few Artist Return cards left. If you’re interested, drop me a line. I’d like to make a dinner reservation for 12. ROM the Spaceknight on 9×12″ canvas board. We seem to be made to suffer. It’s our lot in life. 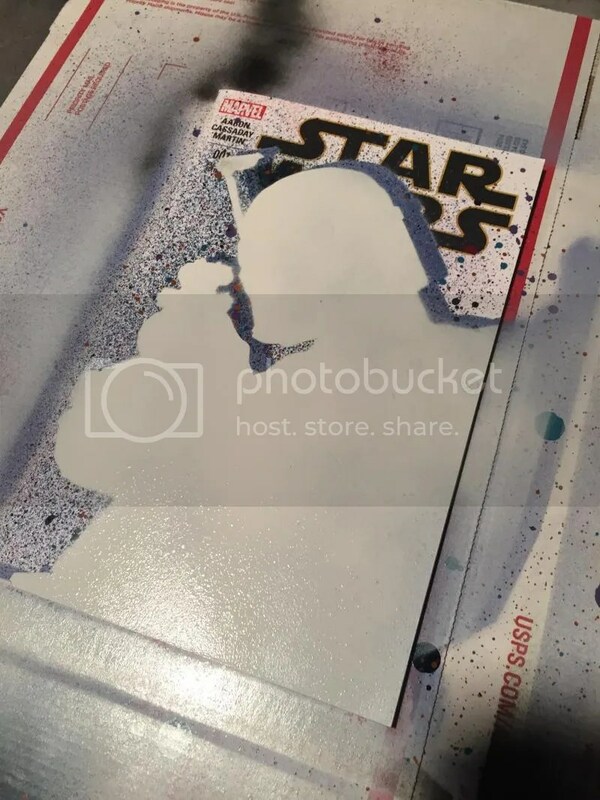 A step by step walk through of painting a blank sketch variant Star Wars #1 cover from Marvel Comics. 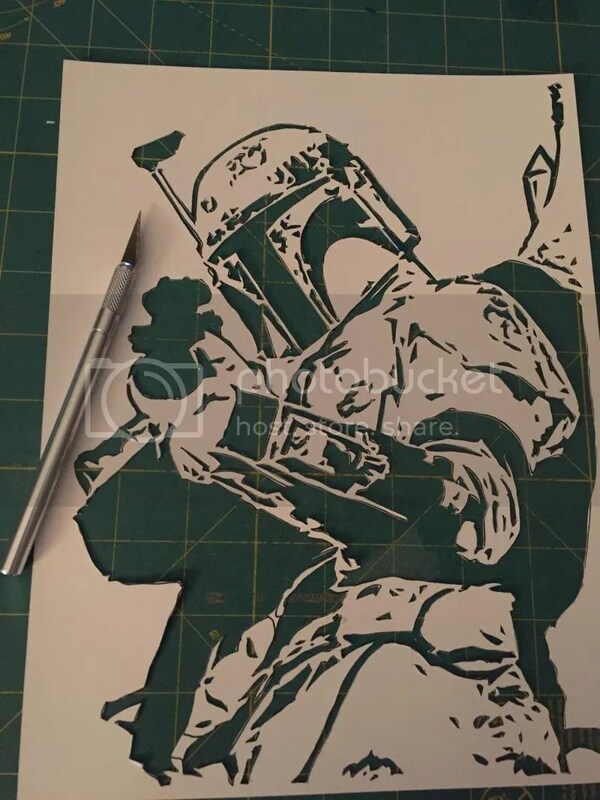 Thanks for coming by and taking a look.